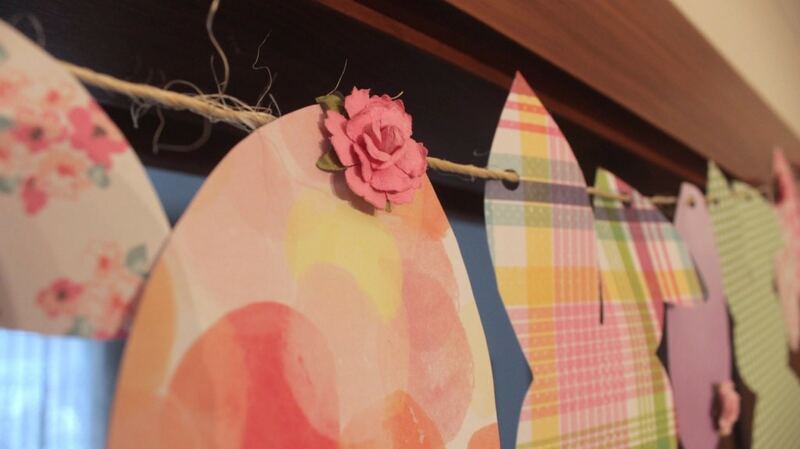 Here’s a SUPER cute and affordable DIY Easter craft that you can do to spruce up your home and make it feel more festive in no time for the holiday! I just LOVE the feel of this project. It’s simple YET totally shabby chic! 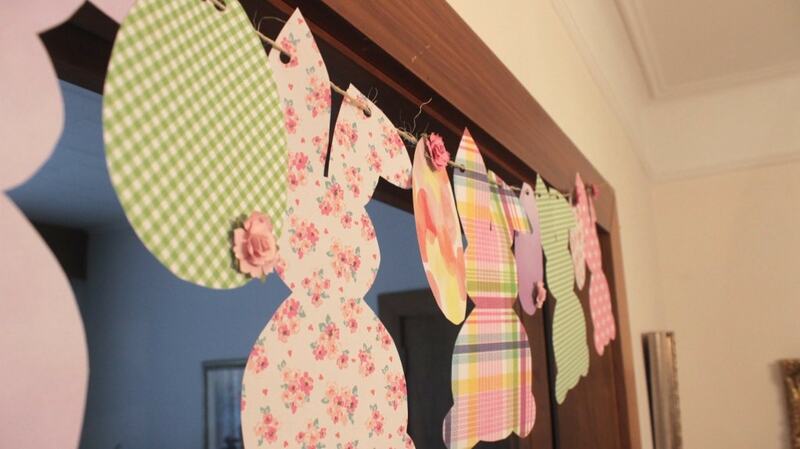 Make your DIY Easter Bunny Banner with just a few supplies. Print out the cutouts of the Bunny and Egg on plain white printer paper. Make sure the image takes up the entire page. Cut the Bunny and Egg out. 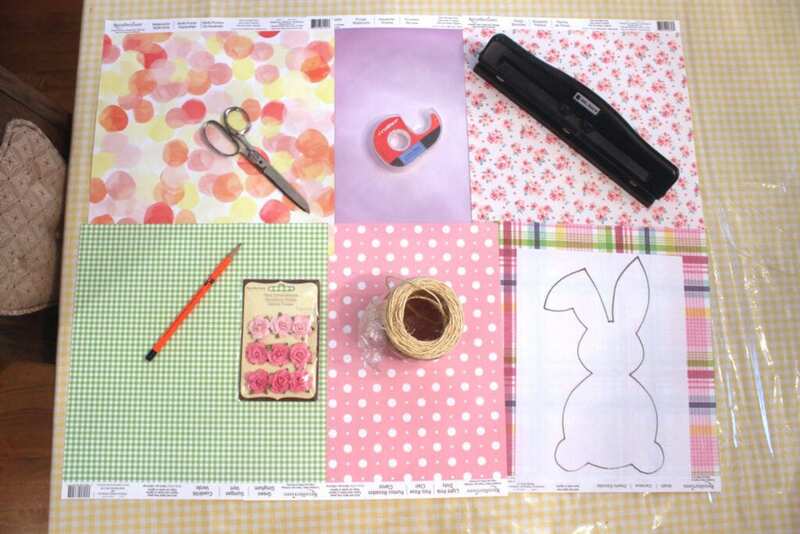 With a pencil, trace the Bunny and Egg cut outs on the back of each colorful piece of scrapbook paper. The backside of the paper is white. 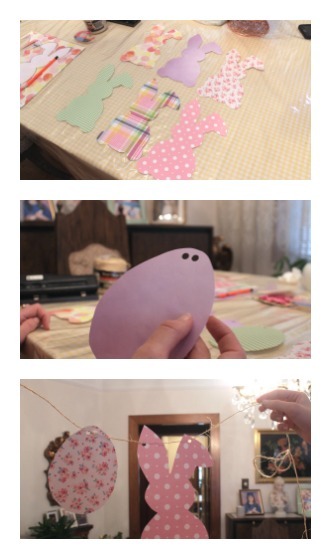 Cut out the Bunny + Egg out of each colorful paper. With the hole puncher, Place one hole at the top of each bunny ear, and two holes at the top of each egg. This is important so the bunny & egg can face forward on the string! String the cutouts through the Twine/String. Tape/stick the flowers onto various places on the banner. Cut the String to the length you need and then use tape to secure. Take pictures and impress all of your guests!! Yeah! Think about all the different places this could work – doorways, fireplace mantles, over your TV and more! 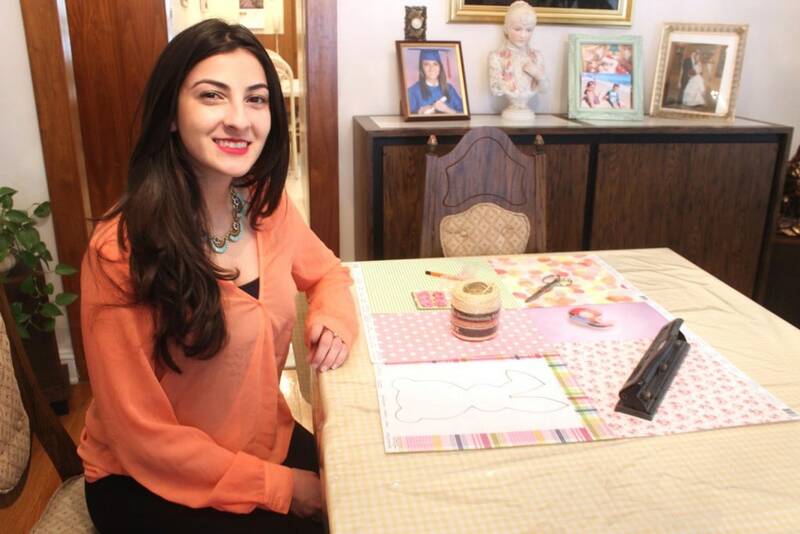 Big thanks to my cousin, Sandra for being so crafty!